As an entrepreneur, a getaway is mandatory from time-to-time to stay sane. While I love the beach and ocean breezes, none of which my home state has, Utah has a unique beauty of it’s own. Especially during winter. Utah is famous for its breathtaking state and national parks. Though they are spectacular in summer, they are no less impressive during the cold months. The holiday season is the perfect time for family get-togethers and bonding. If you are looking for a place that sparkles in winter, consider Utah. Traveling by snowshoe – Snowshoeing is a unique outdoor activity to experience in Utah. In summer, you can hike Utah’s trails; in winter, you can trek over those same pathways in snowshoes. Animal tracks – Speaking of trekking through the snow, the snow-covered hiking trails of Utah show the tracks of animal of all sizes, too. It’s not uncommon to see the footprints of deer, moose, rabbits, and more. Stargazing – Stargazing in the open is fascinating, but it gets even better during Utah’s winters when there are smaller crowds, fewer vehicles and crisp, dry air. Minimal vehicle light pollution in remote areas of Utah’s winter makes the stars shine brilliantly against a dark night sky. 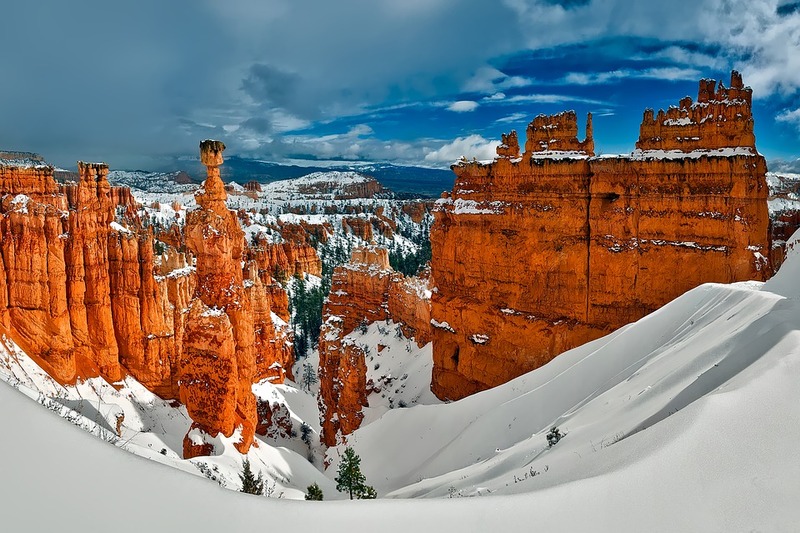 Snow-capped rock formations – While snow ruins the landscape in many regions of the country, it is different in Utah where it blankets mountains and rock formations in areas such as Bryce Canyon National Park. The formations are stunning all year round but even more so when they are dusted with snow. Explore here in winter, and you’ll feel like you are discovering an enchanting new planet. When you explore wisely, you can enjoy a veritable winter wonderland in Utah’s outdoors.